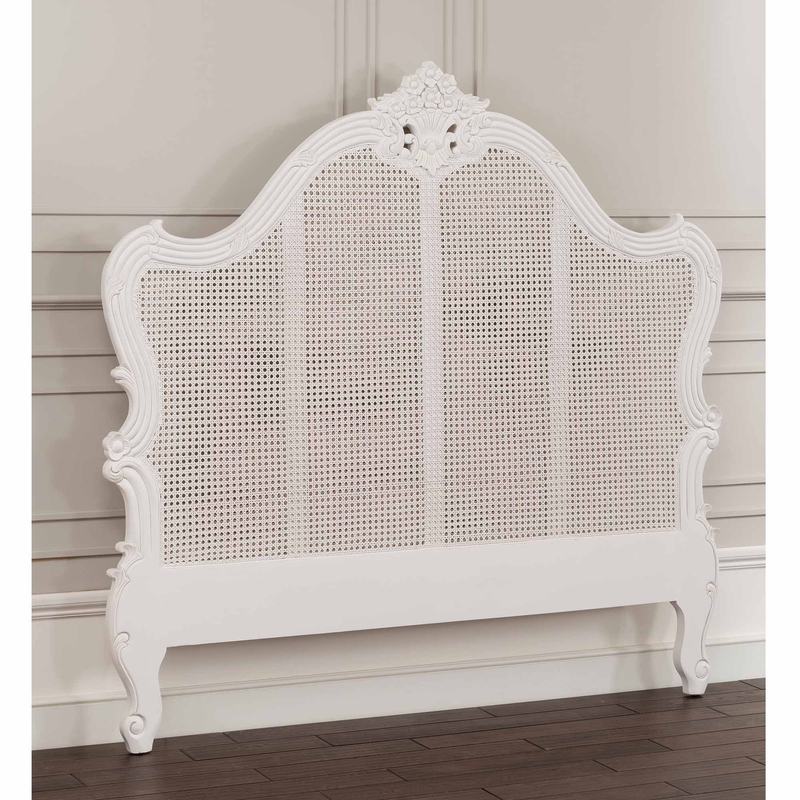 Beautiful and romantic this antique French headboard is finished in an antique white. The delicate carving and cane work are all hand done and are absolutely superb. So brighten up your shabby chic bedroom with this fantastic headboard.